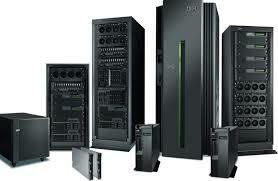 Abtech offers the complete range of Dell Storage products including Compellent, EqualLogic, and PowerVault. We have a deep knowledge of how to design and implement Dell storage solutions. See why more businesses rely on Dell servers than any other brand. We can advise on the best solution to meet your storage needs and support services. Our storage team is fully versed on the EMC solutions and we offer a full implementation service. Abtech offers substantial discounts on support services agreements and superb engineering talents. For customers running in a mixed environment, Abtech supports all EMC® storage platforms. Abtech is one of the few companies that still actively supplies and supports HP® 3000 systems and peripherals. We have been in business selling, renting and supporting HP® 3000s since 1989 and have over 100 HP® 3000 customers throughout the US who rely on the skills of our engineers. Nobody has more HP® 9000 and HP®-UX experience than Abtech. We have been in business selling, renting and supporting HP® 9000 servers since 1989 and have over 500 customers throughout the US who rely on the skills of our engineers.